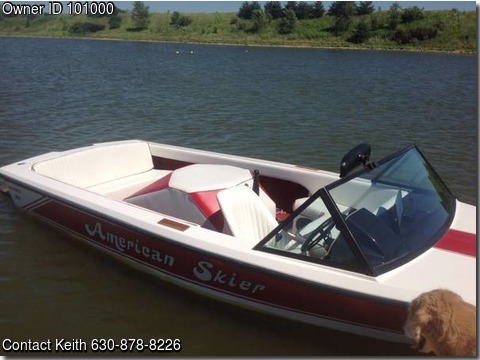 Boat is located in Minooka,Illinois..Please contact the owner @ 630-878-8226...Great running Boat, very solid Hull. I have owned and maintained for 20 yrs. last 11 years used exclusively on a private Lake, through Slalom Coarse Only. upgrades include: Perfect Pass speed control, new floor,progress photos attached, new floatation Foam, & Carpet, re- upholstery 2 years ago. New Holly Carb., Mallory Distributor, Hi Performance plug wires, Positive Magnetic Starter, Battery. 4 Bladed Propeller & spare.